Get print copy of these puzzles. Clayton DuVall is an accomplished database technology professional, puzzle maker, and a lifelong avid baseball fan. 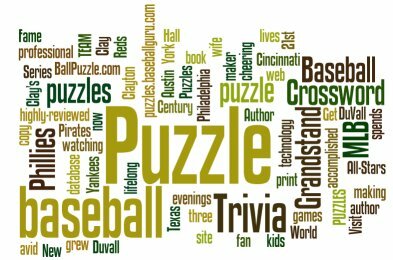 He is the author of the highly-reviewed baseball puzzle book, Grandstand Baseball Puzzles. He grew up cheering on the Pirates and Phillies and now lives in Austin, Texas with his wife and three kids where he spends his evenings watching baseball games and making puzzles. 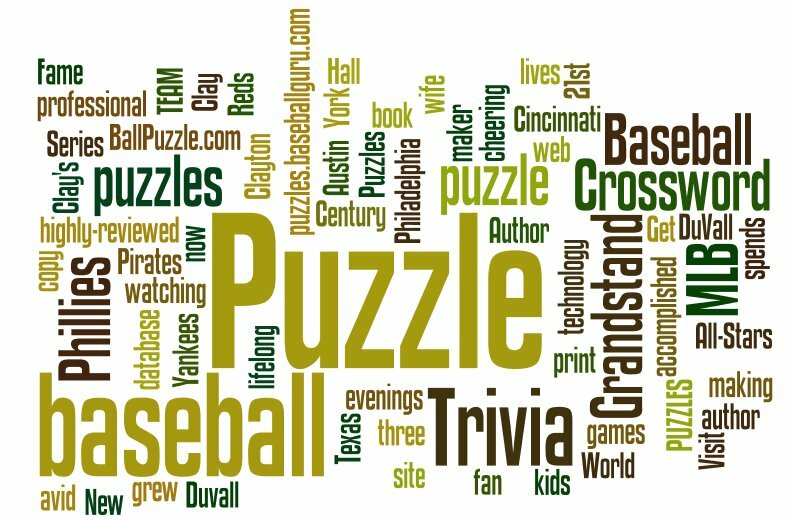 Visit Clay's web site: BallPuzzle.com - Grandstand baseball puzzles.